Seachem Stability, new tank stabilization system for marine and freshwater. Quickly and safely establishes bio-filter. Seachem Stability is a new tank stability system for freshwater and marine fish tanks. It quickly and safely starts the bio-filter and stops “New Tank Syndrome” which is the number one fish killer! 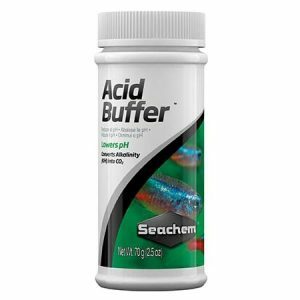 Seachem Stability adds the essential bacteria a healthy filter needs to ensure the health and well being of the tank residents! When you set up a new tank you simply add Seachem Stability to the water and it fills your filter with nitrifying bacteria within 24 hours! This allows the fish keeper to add fish to a new tank from day one! 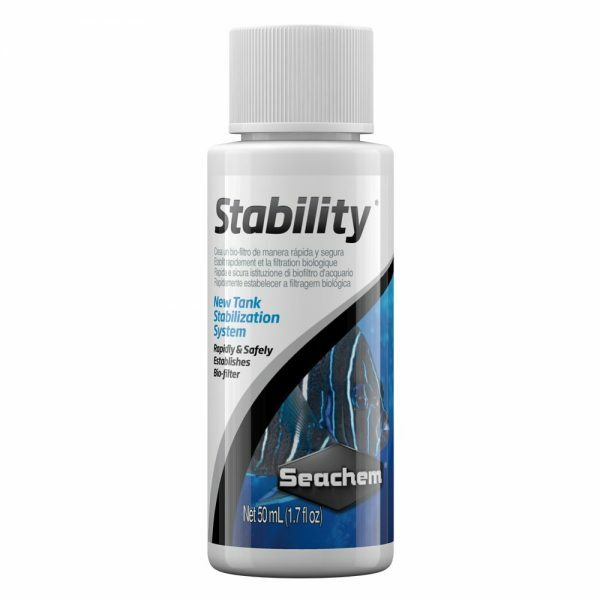 Seachem Stability has been specially made for the fish tank and is the result of nearly a 10 years of research and is the “state of the art” in natural biological management. 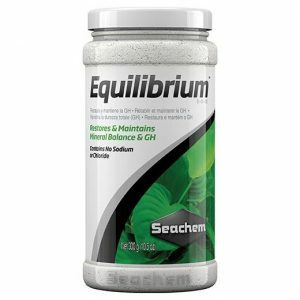 Seachem Stability contains a blend of billions of four species of bacteria. Two of which are nitrifying, one is waste eating and a fourth which simply eats nitrate. These strains of bacteria are cultured for the purpose of eating nitrogenous waste to reduce unsafe toxins in the water. These bacteria collect onto your filter sponge or bio media in your filter and start to break down waste organics, ammonia, nitrite, and nitrate meaning your fish have the healthiest possible start! The conditions needed for the bacteria’s growth and development fall into a very narrow range of temperatures, pH and organic load. When any of these are not in the proper range the bacterial culture quickly crashes and dies. The bacteria used in some other products found on the market today can be unstable and may even produce toxic hydrogen sulphide. 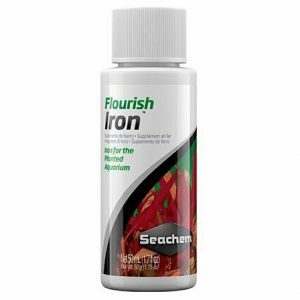 Seachem Stability works over a wider range of pH or GH levels than other brands on the market. It is completely harmless to all aquatic creatures and plants. As a result, there is no danger of overusing. You can really never have too many helpful bacteria! The benefits of the exact strains of bacteria in Seachem Stability also vie with any likely bad bacteria added with the fish. This is due to the “waste control bacteria” eating any spare fish food and fish waste that is lying around. This, of course, leads to far healthier fish! You should use Stability with a good quality biological filtration such as Seachem Matrix. Shake well before use. Turn off UV/ozone. Use 1 capful (5mL) for each 40L on the first day with a new tank. Then use 1 capful for each 80L daily for 7 days. If you dose is kept up for 7 days you may add fish and other aquatic life at any time. For the best filter performance use 1 capful for each 80L. Do this once a month or with each water change. You should also do this when adding new fish or when medicating the tank. For emergency ammonia control use Seachem AmGuard.